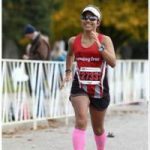 I was the lucky winner of the Smartwool socks for 2018 season! I waited to provide my product review so that I had a fair chance to use these socks over the winter, spring and summer seasons. I was pleasantly surprised by the array of fun colors, styles and cuts of Smartwool socks. The socks are made of 49% Merino Wool, 47% Nylon, 4% Elastane. I was very impressed with the mesh ventilation zones which provide incredible temperature and moisture control. My feet stayed surprising dry even when I wore them in warmer seasons. There were no uncomfortable pressure points which kept my feet blister-free and healthy for my next run. What stood out for me was the durability of the Smartwool socks. They are machine washable and dryer safe. I’ve owned other brands of wool socks but many of them did not hold up well in the dryer. I was glad these socks held their size and shape when thrown in the dryer. The pricing is comparable to other wool socks but the quality stands out in the Smartwool socks. 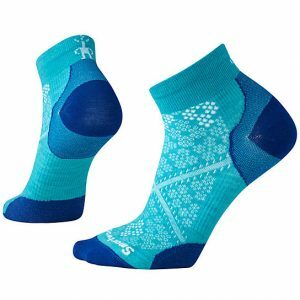 Overall, I was impressed with the comfort and durability of the Smartwool socks and wouldn’t hesitate to purchase additional products manufactured by Smartwool. So toss away your old, worn out and stinky socks and invest in a few pairs of Smartwool socks! Your feet will thank you.